When summer comes around, I always take my body care regime up a few notches-especially since I am going to be showing a bit more skin. I am often on the lookout for products that will make my skin look and feel healthy, so when these Oil Slathers from Soaptopia landed on my desk, I couldn't have been anymore eager to give them a try. 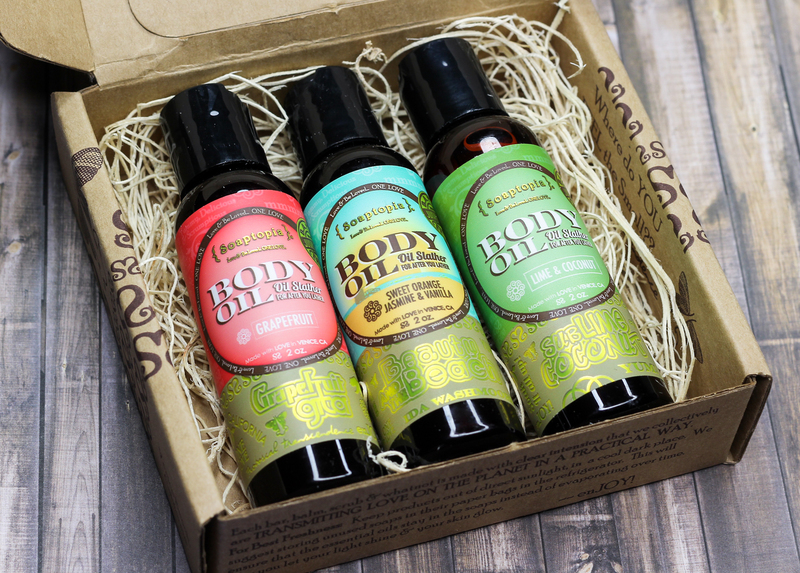 Turns out, these body oils are just what my skin need, not just for the warmer months but all year round. Needless to say, I am hooked! 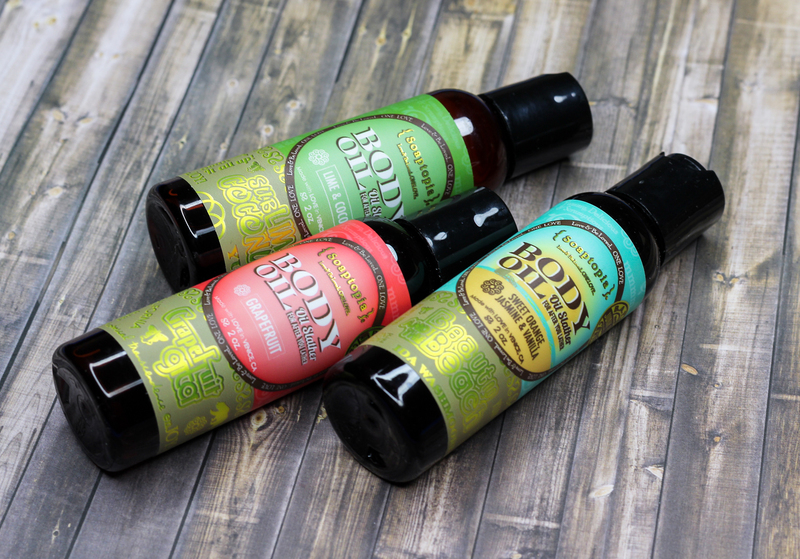 Soaptopia's skincare, bath and body care lineup consists of handmade, all natural, eco-friendly products. They are cruelty-free certified, and contain the most freshest ingredients which are free from allergens, chemicals, synthetics, and petroleum. I have been testing out three of Soaptopia's Oil Slathers and they have just been great so far. They are a soak-in oil which add moisture and vitamins into the skin. To use, just apply some in the shower before toweling off, to reveal healthy, naturally glowing skin (please be careful when using these in the tub, since the oil might make it slippery). Bonus: The oil slathers can be used as massage oils, too. All three of the oil slathers I received-Grapefruit Gida, Beauty And The Beach, and Sublime Coconut smell lovely on the skin, my favorite being Grapefruit Gida since I am a huge fan of sweet and citrus fragrances. I appreciate that the scents aren't overwhelming. They are perfectly subdued-relaxing even, and they linger on for quite awhile. I am happy to report that these oils sink right into the skin, without leaving behind a greasy residue. The oil slathers are very skin softening, and they feel super lightweight and comfortable on. My skin is definitely loving Soaptopia's Oil Slathers, and they have become my newest summer staple. They smell amazing, and they do a nice job at not only softening, but also hydrating my dry-prone skin. My skin has never looked or felt better. These get two thumbs up from me, and I am looking forward to checking out some more products from Soaptopia (their soaps look so fun!). Which are your favorite skincare products to use during the summer? Disclaimer: This post contains products received from PR for review consideration. For more information, please visit my disclosure page.